They say truth is stranger than fiction. 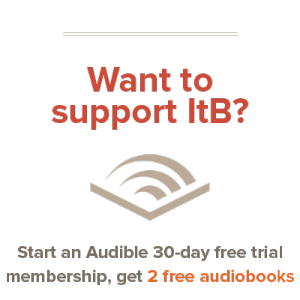 I would tend to agree – especially in regards to the story of Jan Baalsrud, a story brilliantly recorded by David Howarth in We Die Alone. In March of 1943, a skilled team of expatriate Norwegian commandos set sail from northern England. Their destination was Nazi-occupied Norway; their mission was to organize and supply the Norwegian resistance. Shortly after landfall, however, they were betrayed, resulting in an ambush by the Nazis that left only one of the team alive – Jan Baalsrud. Pursued by Germans, suffering from severe frostbite, and blinded by the unrelenting snow and wind, Jan forced himself onward, leaving a trail of blood behind him as he went. He eventually found his way to a small arctic village, where he sought shelter, half-dead, delirious, and virtually a cripple. At great risk to themselves and their families, the villagers undertook to save him… and through impossible feats, they did. David Howarth won my utmost respect with his marvelous book The Voyage of the Armada: The Spanish Story. It blew me away completely. He blew me away a second time with We Die Alone, which has to be one of the most riveting survival stories I have ever read. I heard the bare bones of this story during the war, soon after it happened… All that I knew about it then was based on a report which was written in a Swedish hospital by a man called Jan Baalsrud… it was not until ten years later that I had a chance to talk it over with him, and persuade him to come with me to the far north of Norway where it happened, to try to find out the whole truth of it. Now that I have found it and written it down, I am rather afraid of being accused of exaggeration. Parts of it are difficult to believe. But I have seen nearly all the places which are mentioned in this book, and met nearly all the people. Not one of the people knew the whole story, but each of them had a most vivid recollection of his own part in it. Each of their individual stories fit together, and also confirm what Baalsrud himself remembered. Some minor events are matters of deduction, but none of it is imaginary. Here and there I have altered a name or an unimportant detail to avoid offending people; but otherwise, I am convinced that this account is true. By the end of the book, the reader is convinced, too, beyond a shadow of a doubt. And while one could argue that the book’s primary focus is Jan, Howarth never neglects the bravery of the villagers who aided him. 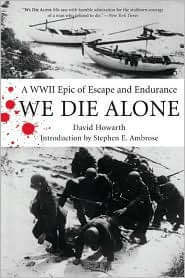 To quote Steven Ambrose, who provides the introduction, “[They] ceaselessly risked their lives to save his, even when he was apparently a hopeless cripple with nothing whatsoever to offer anyone, and managed impossible-to-believe feats in keeping him alive.” Their boldness and sacrifice truly is one of the most touching elements of the story. I love this book! We even bought it as gifts for people. It is totally amazing, the best survival book I have ever read to be honest! It is truly amazing.